The technique I'm going to talk about, could be in some cases replaced by a dedicated post-production, but frequently it's easier to use it during the shooting to get some interesting special effects. 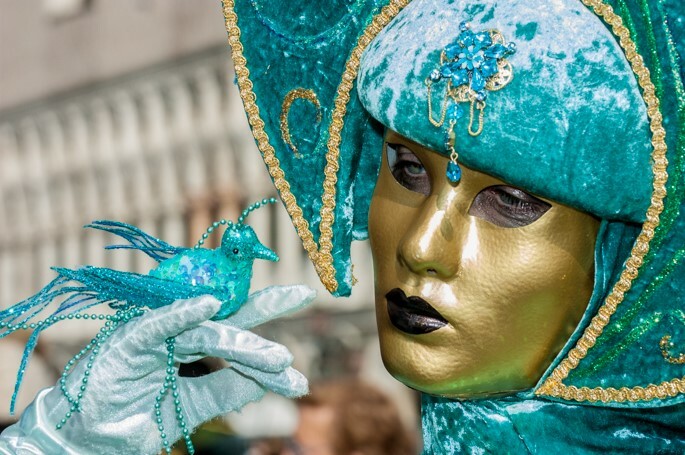 Not everybody knows that the most ancient carnival of the world is instead Italian, and it’s the up-till-now famous Carnevale di Venezia: the oldest Venetian document that references it, it’s dated 2nd May 1268 (more than 2 centuries before the discovery of the Americas). At that time, Venice was definitely the most amusing place of Europe, the carnival in fact lasted even 3 months; Venice was also in a certain sense, the most democratic place, the mask allowed everyone, also the low classes, to mix with the noble rank, protected by their disguises.